No refund for cancellations or requests for changes that are received less than 7 days prior to arrival. No refund for no shows. 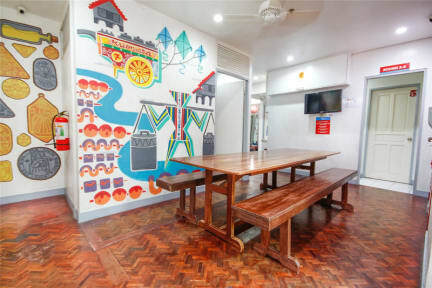 With comfortable budget accommodations, personalized service, and an exciting location, backpackers will find Lokal Hostel offers a uniquely immersive experience of the local scene. Hospitable service and basic amenities provide an easy-going stay for its guests to take rest. 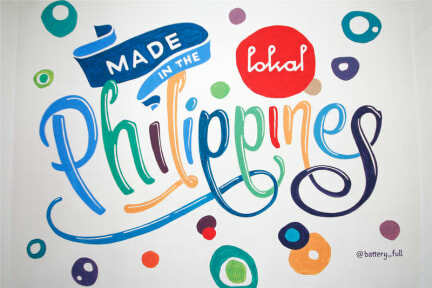 Vibrant murals by some of the most respected street artists decorate Lokal’s rooms and hallway walls, welcoming guests to their transient home. Its covered rooftop offers visitors a panoramic view of the neighborhood and a breathable respite from the city bustle. Located in the colorful Poblacion district of Makati City, Metro Manila, where the red light district has since become a destination for food and live local music, Lokal Hostel is at the heart of one of the fastest and most exciting developing neighborhoods. The walkable area of Poblacion will lead you to row upon row of cafés, bars, and restos that spill into the street and have you making friends with your neighbors. In a city district where every corner awaits something new to be discovered, Lokal Hostel’s home court will thrill visitors with a truly authentic cultural experience. Early bird promotion for all room types.